Summer Beach Colony. 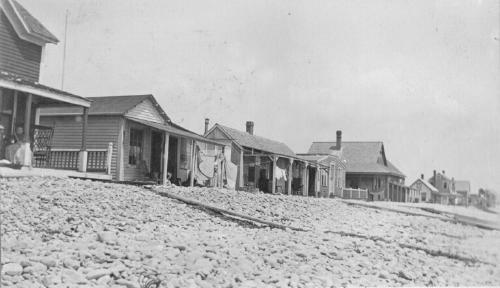 Along both East and West Beaches, a small village of summer mansions and cottages plus hotels, a store with post office, and a church existed from ca. 1870 until destroyed by the 1938 hurricane.